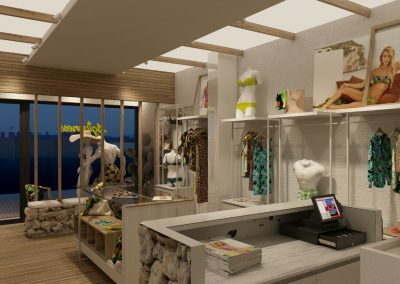 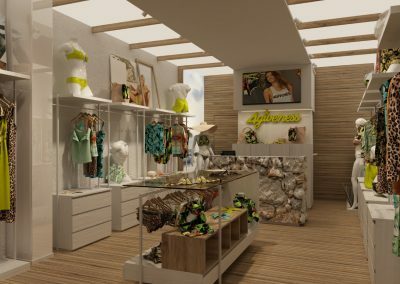 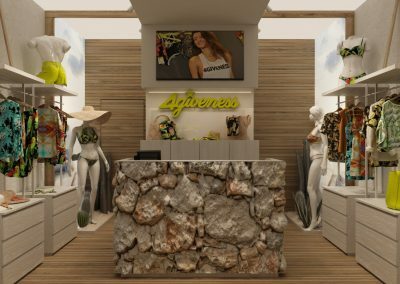 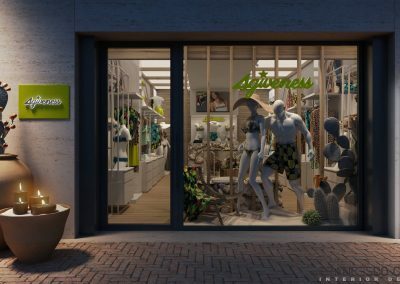 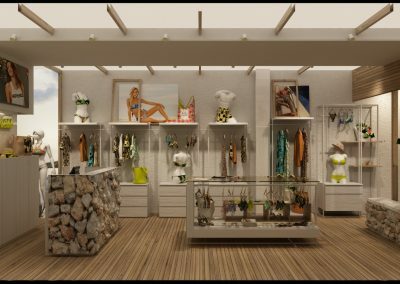 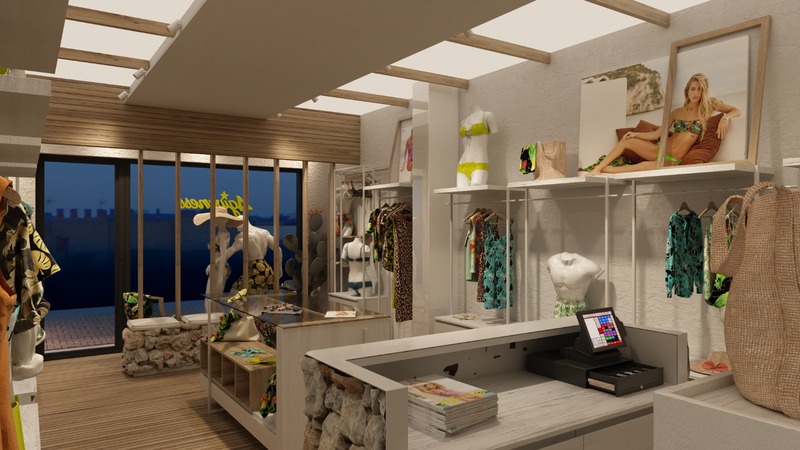 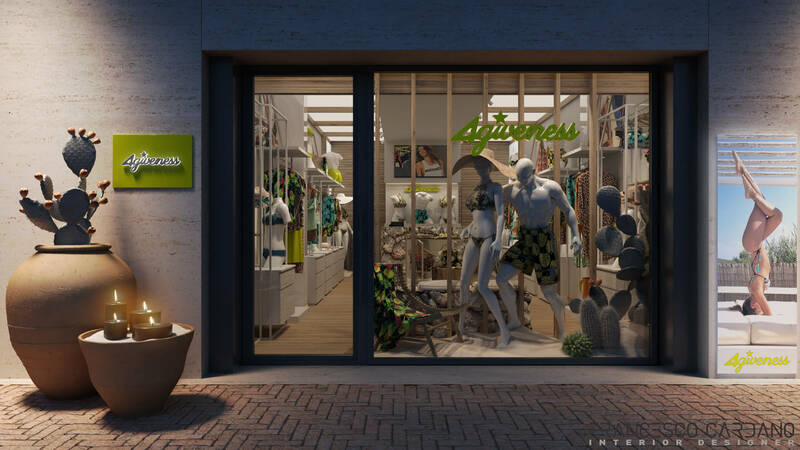 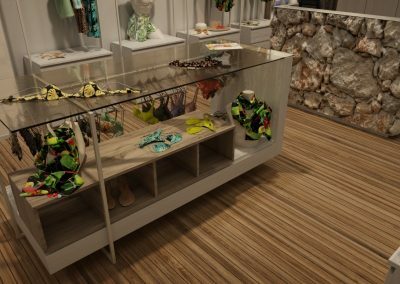 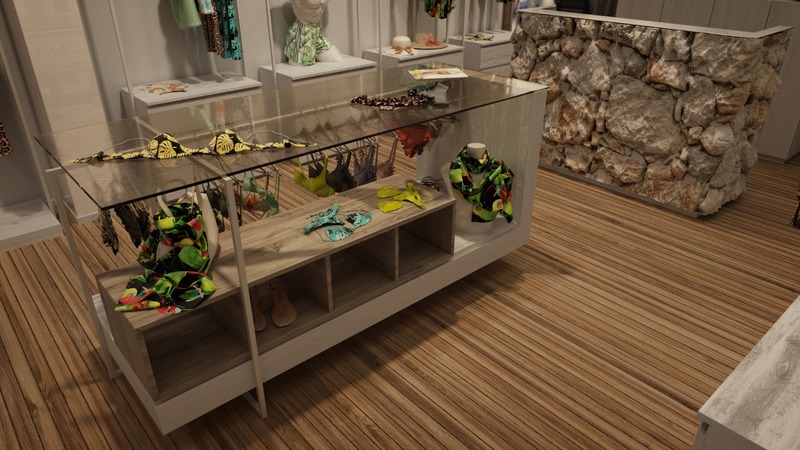 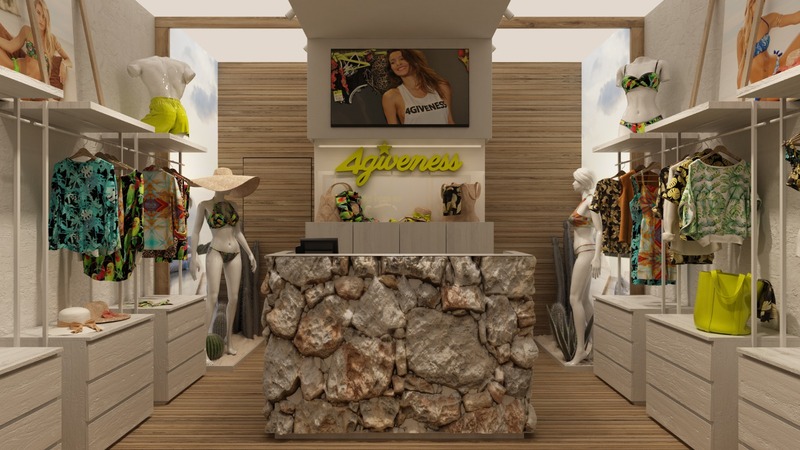 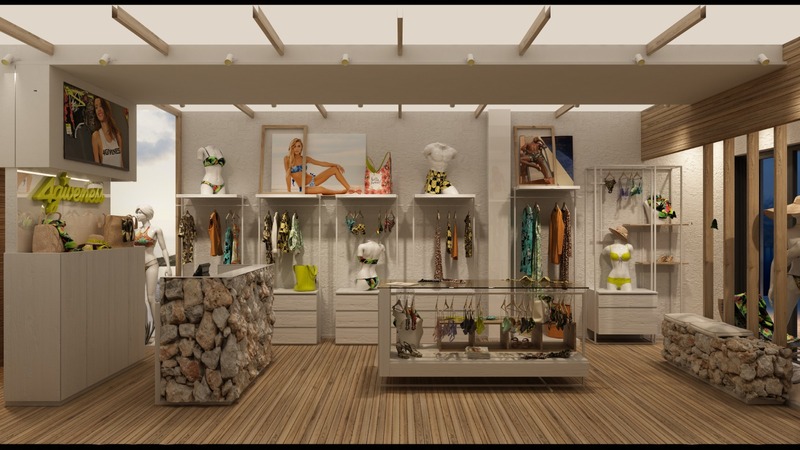 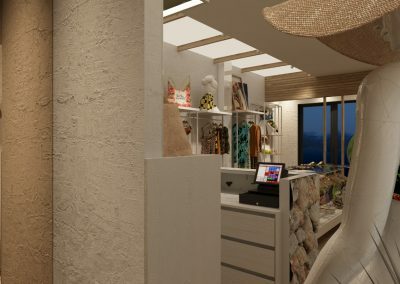 Concept of a swimwear franchise and project for one of the stores. 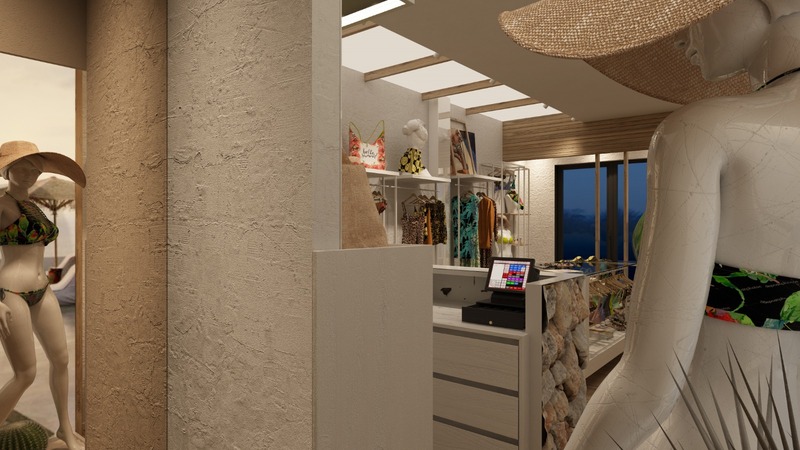 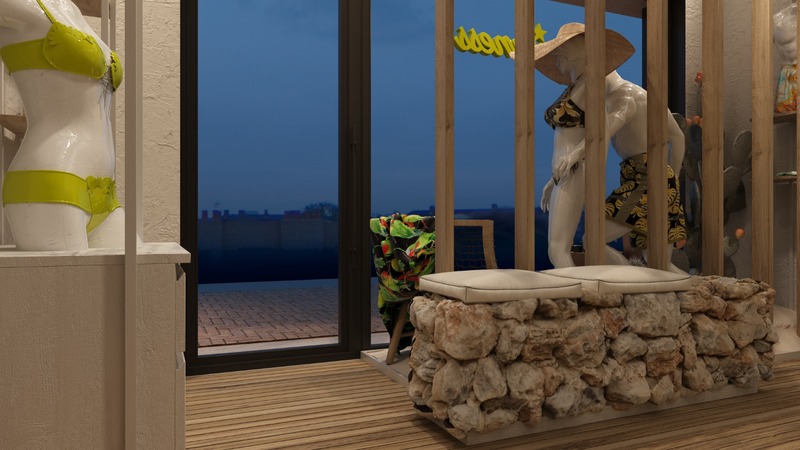 The project is inspired by the typical features of Mediterranean architecture. 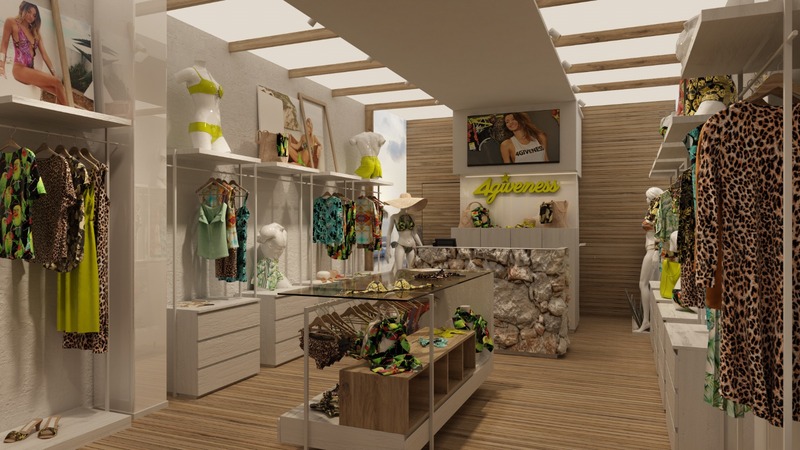 The prevailing materials are wood and stone. 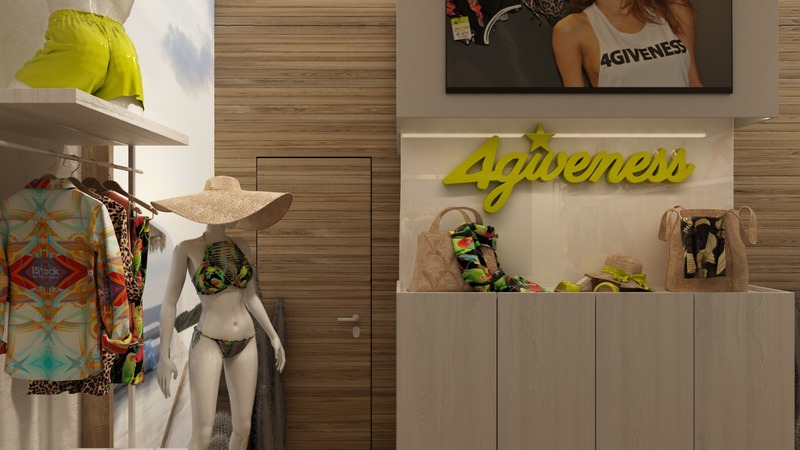 The idea is to offer not only the products for sale but also a short trip, a summer experience in the places of Puglia.